It has the same base structure as Dianabol with the added 4-chloro alteration of clostebol. In essence it�s a cousin of Dianabol displaying no estrogenic and less androgenic activity that Dianabol. Studies have shown that taking an oral anabolic steroid with food might decrease it�s bioavailability. This is caused by the fat-soluble nature of steroid hormones which allow some of the drug to dissolve with undigested dietary fat, reducing it�s absorption from the gastrointestinal tract. 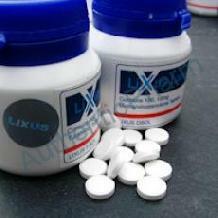 For maximum utilization LIXUS TURINABOL should be taken on an empty stomach.